The ibis Nancy Sainte Catherine hotel is the ideal base for visiting Place Stanislas, just 875 yd away, as well as the old town. Nancy TGV train station and the Prouvé convention center are just a 5-min tram journey away, with a stop outside the hotel. 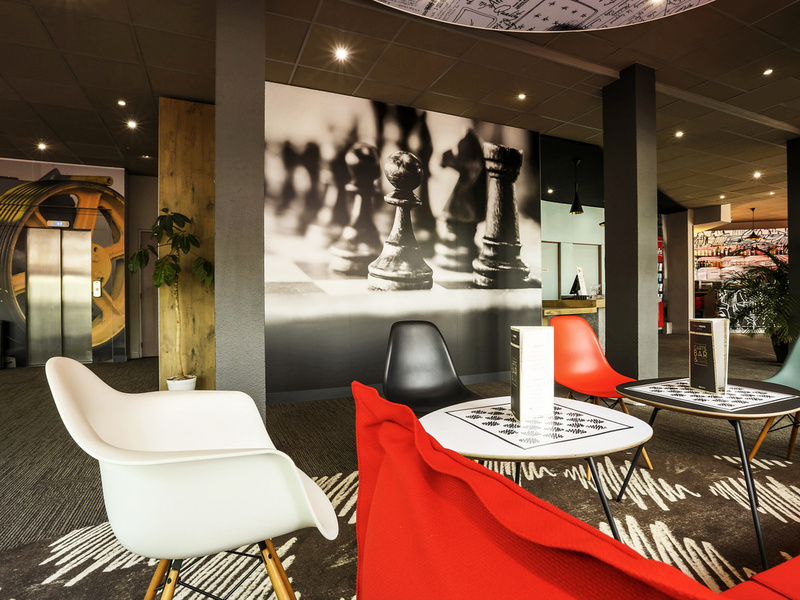 Just 90 min from Paris Gare de l'Est by TGV train, 5 min from Place Stanislas and 5 min from Prouvé convention center by tram, the ibis Nancy Centre Sainte Catherine offers 66 spacious, comfortable rooms with air conditioning and free WIFI. 5 meeting rooms, bar, 24-hour snack service and enclosed underground car park. There is also a car park that is free from 6pm to 10am opposite the hotel. You'll love our excellent location close to Parc de la Pépinière, historic districts and the national opera house.